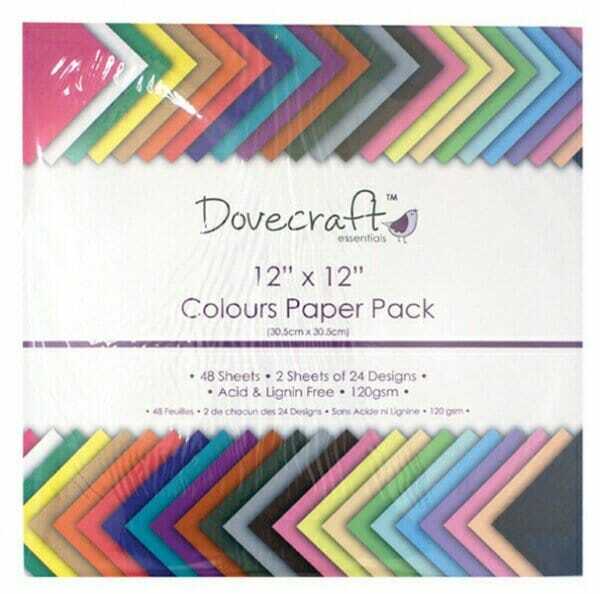 Dovecraft Paper Pack - Colours (12inch x 12inch), DCDP59. The Dovecraft Colours paper pack collection is free of complex designs, enabling the crafter to have more freedom to embellish and add photographs to projects. This pack contains 48 sheets (2 sheets of 24 designs), printed on 120gsm art paper. Customer evaluation for "Trimcraft - 12X12 Paper Pack Colours Value 48 Sheets"